LEARNING ON THEIR MINDS. Students at the English in Mind Institute in Port-au-Prince, Haiti. On January 11, Donald Trump made an unkind remark about Haiti. It was one day after the eighth anniversary of an earthquake that wreaked unimaginable devastation on that country’s capital, Port-au-Prince, and threw an already unsteady nation into disaster. Two weeks later, I heard that Haitian rock star Wyclef Jean was coming to Eau Claire on April 12, and all I could think was: We’ve gotta take a moment celebrate Haiti! So let’s do that! With all the bad news in the world these days, let’s do something happy, something positive. Celebrate Haiti! Sit down at Forage and enjoy all the flavors of Haiti at a gourmet dinner to benefit EIMHaiti.org, a non-profit in Port-au-Prince, Haiti, where I volunteer. We provide access to education, employment, and cultural exchange. The three-course meal (conveniently scheduled as a pre-Wyclef event) includes: Soupe Joumou (Haitian Pumpkin Soup), Haitian Chicken Legs, Creole Rice and Beans, and Pikliz (Spicy Slaw). A vegan option is available, and dessert, coffee, and punch are included. Wine, beer, and sparkling punch are available for purchase. Advance tickets only, sales end April 11. $30. Buy yours or make a donation at volumeonetickets.org. Pop-up coffee stores around downtown Eau Claire April 12 allow local businesses to get into the spirit of Celebrate Haiti Day by selling bags of Singing Rooster Haitian coffee (whole bean and ground) for $12. 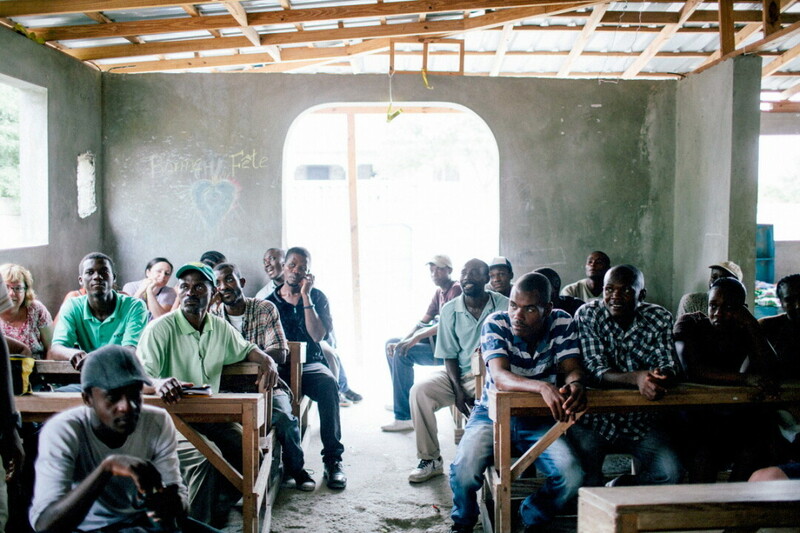 Singing Rooster is a nonprofit that buys Fair Trade Haitian coffee directly from farmers, putting more than $1 million into Haitian pockets. The coffee is roasted in Red Wing, Minnesota. Stop by any of these local businesses on April 12 to grab yourself some rich Haitian coffee: The Local Store at Volume One, Starr’s Sister, SHIFT Cyclery and Coffee Shop, Ambient Inks, Forage, and The Plus. I am not kidding, do yourself a favor and grab a couple of tickets to see Wyclef Jean (formerly of the Fugees) rock The Metro, with Irie Sol kicking things off at 8pm. Tickets are $35 in advance or $40 at the door. Buy yours at volumeonetickets.org. And if you’re busy April 12, there are a couple of other ways you can help: Come to Haiti with us. EIMHaiti runs volun-tourism trips several times a year. Or make a donation. Bonni Knight is a Local Store employee, a contributor to Volume One magazine, and a regular volunteer in Port-au-Prince with EIMHaiti.org. You can reach her at bonni@volumeone.org.